Which Credit Card To Use For Daily Getaways Purchase? I’ve written extensively about Daily Getaways, whereby you can purchase travel packages at a discount. The first of five weeks of offers is just wrapping up. So far we’ve had the opportunity to purchase points from IHG Rewards Club, Club Carlson, and Hilton HHonors. I’m often asked which credit cards are best for these purchases. The one thing to understand is that Daily Getaways purchases are processed by Daily Getaways, and not the program from which you’re buying points. In other words, if you’re using this promotion to buy IHG Rewards Club points, your purchase will be processed by Daily Getaways and not by IHG (therefore it doesn’t count as hotel spend). But I’ve learned something new today regarding how Daily Getaways is categorized as a merchant. The only promotion so far this week that I’ve taken advantage of is the opportunity to purchase Club Carlson points. I used the Starwood Preferred Guest® Credit Card from American Express for the purchase, thinking that a purchase with Daily Getaways wouldn’t qualify for any bonus categories. And since I value Starpoints at ~2.2 cents each, that’s among the highest return I could get on non-bonused spend. With that in mind, you can actually earn bonus points for your Daily Getaways purchases. Which cards are best? The takeaway here is that Daily Getaways is categorized as a travel agency, so I used the wrong card for my purchase. A friend confirmed receiving double points for using the Chase Sapphire Preferred® Card for a purchase. Can anyone that used the Citi Premier℠ Card for a Daily Getaways purchase confirm they also received double points? Excellent point Ben, thanks. I was wondering the same. So hello Sapphire card of mine, lets get me some URPs! I love your blog. However I think some of your links may be corrupted. The last few times I clicked a link from your blog post, I get redirected saying my computer has been infected and I need to an 888 number to have tech support take care of it. It will not allow me to get out of the window and I need to crash chrome. I am on the computer all day and I don’t have this problem any where else. I used my arrival card for the Alamo deal the other day and it showed up as a travel agency so I was able to cover it w/ points! I can confirm that you can use your Chase Sapphire and get double points for travel. I also used my Barclay World Elite Arrival + on a second transaction and I was able to use my miles to cover it. I thought Prestige would be the card to use here because of 3x on travel. As I have said repeatedly, the value of 2.2 cents/point that is being touted for SPG starpoints does not take into account the earning side so it is not very meaningful. That was already a problem with your expectation that using the SPG AMEX to make this purchase would automatigically give you the highest return. Here’s another reason why you are wrong. restaurants, air, car rental: 2/$. Now let’s just isolate the SPG AMEX, Hilton AMEX Surpass, and Hyatt Chase Visa. These are relative to Hilton’s 0.4 cent/point that everyone throws around as if it were worth less. Clearly all the points, when adjusted for the ability to earn them have almost exactly the same “purchasing power”. The same result would be obtained by basing the math on points earned through revenue stays. So, can we henceforth start using earning-adjusted valuations since they provide a somewhat more meaningful picture? I agree with Jediwho citi prestige no ? Same as poster above- every time I click a link, my computer shows a virus message!! It links to some weird URL. Made me stop reading many posts and close the site. You need to fix this asap! DCS, I disagree with your calculated results. I consistently get more than 2.2 cents/point value when redeeming Starpoints for hotel stays. I think your calculation is accurate if you “flip it around”. For example, if you can get 0.4 cents/point value when redeeming HHonors points, and you can earn 6 points/$ spent, then you can say that you’re getting (0.4*6) = 2.4 cents worth of point values for each dollar of spend. So we agree that the credit cards you’re comparing give comparable values when spent on travel related purchases. But I feel the actual value per dollar of spend is much higher than your calculations indicate. You got that backwards. Remember that it is HHonors that awards 6 times more points than SPG. Therefore, to express HHonors points in terms of SPG points you’d multiple the HHonors valuation by 6 so that 0.4 cent/point * 6 = 2.4 cents/point represents HHonors in terms of SPG points. Alternatively, you can express the SPG points in terms of HHonors points, which is what I had done and you had objected to. They are exactly the same thing. 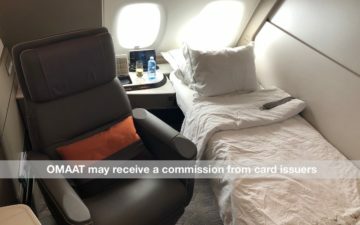 If SPG AMEX earns you 2.2 cents/point then HHonors AMEX Surpass earns me 2.4 cents/point when adjusted for the fact that the AMEX Surpass awards 6 times more points than the SPG AMEX for that category. In the real world, however, SPG offers the worst Spend Per Free Night — the ultimate measure of the purchasing power of one’s REAL money — of any program. 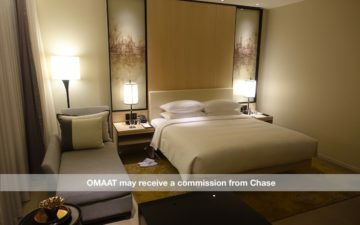 HHonors, Hyatt GP and Marriott Rewards, in that order, offer about the same return in terms of free night per spend, and IHG and Club Carlson offer by far the best value. One simply must take into account both the earning and redemption sides of the equation for any valuation or comparison of loyalty point “values” to make sense. Short of that one is comparing apples and oranges.